I have been enjoying your articles for years as I modify/ design/ redesign and tinker around with my projects. On several occasions an article has given me the spark needed to take things to a new level or go off on a completely new tangent to achieve my desired result. My passion has grown to the point where I can no longer leave it at a 'hobby' level so I have began my Diploma of Motorsport and was hoping that you could help me in my quest for knowledge. I have managed to put together a very useful library of books to refer to however I am writing to ask for advice on a Top 10 'must own' list of books I should try and track down to read. I do not have an engineering degree but do have extensive basic knowledge so was looking for detailed yet understandable reads. I am allocating $300 to the initial search so is there any direction you can point me in?? My passions revolve around tarmac rallies and building responsive 'streetable' cars that you can take to any event and give it a fair go..
Luke, some points need to be kept in mind. Firstly, your $300 budget won’t be enough to get all the books at once. However, $300 a year for two or three years will! Secondly, if you are a lateral thinker, I believe that reading a lot of traditional car tech books often constrains thought, rather than helping to create a climate of innovation. That’s why this list doesn’t include any ‘how to modify your car’ publications. Thirdly, you need books that you can grow into, rather than reading and immediately understanding all the points. That means some of the choices may first prove frustrating or difficult – but they’re books that you’ll still be reading a decade from now. Finally, and for the reasons discussed in the preceding point, some of the following books are quite old, and so will be difficult to get. However, web searches at places like Amazon and Alibris will usually turn them up. Note: the ‘honourable mentions’ in the following text are often not a direct equivalent of the main book that has been cited, but instead provide a slightly different perspective that may better suit some people. This is the absolute Number One pick – the best all-round book on car technology in the world. 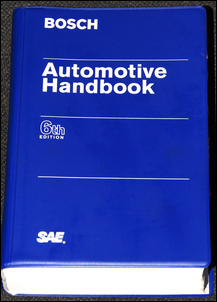 Shown here is the 6th edition – but the 7th is now available. This is one of the few books listed here that should always be sourced in the most recent edition. The small format softcover (180 x 120mm) uses very thin pages containing literally dozens of chapters. However, the content can be subdivided into two main classes - general reference material, and detailed discussion of topics close to the Bosch company's heart. 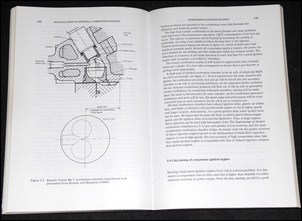 The general reference material is similar to that which can be found in other engineering sourcebooks - with one significant difference: it's all automotive based. The Bosch information covers all Bosch electronic system – from stability control to fuel injection. Three points should be made. The book is aimed at engineers, and so the language used often isn't all that simple. Secondly, a huge amount of information is crammed into every sentence and so some will need to be read several times for the full implications to become clear. Finally, no photos are used - just superbly drawn, detailed diagrams. Honourable mention: Coker, A.J. 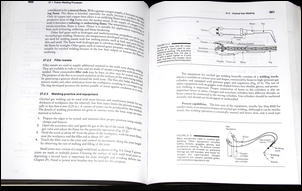 (Ed), Automobile Engineer’s Reference Book, 1959 (ISBN not available). This is an excellent book on the absolute basics of motor car design. This is one of those books where you might first glance through it and think – WTF? There’re lots of equations and the content is unabashedly addressed at practicing engineers. But the more closely you look at it, the more you realise that there’s a huge amount in the text, even for those who don’t have engineering degrees. 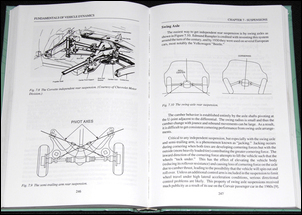 For example, many books on suspension describe different linkage geometries and the roll centres that result. Few, if any, describe these details with the absolute clarity of this book. 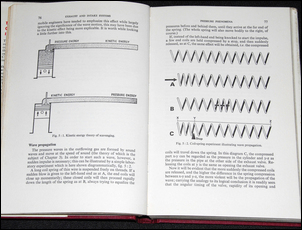 Damping is often dismissed in books as needing to be ‘matched to the springs’. 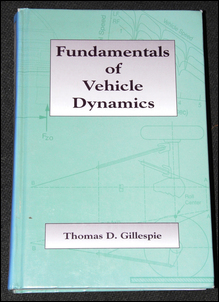 Fundamentals of Vehicle Dynamics looks at it in terms of resonant systems. This is a book to grow into, one to thumb through when designing a vehicle from scratch or thinking about really major modifications to existing cars. When I first got the book I was disappointed; when I developed the suspension system and steering for my recumbent pedal trike, it was indispensable. 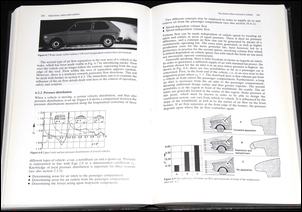 Honourable mention: Bastow, D., Car Suspension and Handling, 1980, ISBN 0-7273-0305-8. A more chatty book that still doesn’t skimp on important detail. Aerodynamics of Road Vehicles is one of those absolutely seminal books that will take decades to date – in fact, when I think about it, even in 50 years’ time it will still be useful. Every aspect of aerodynamics relating to road vehicles is covered in this book – from lift and drag, to engine cooling, to ventilation of the cabin. I first read it as an absolute beginner in car aerodynamics - it’s a particularly fond memory because the second and third articles I ever sold to modified car magazines were on aerodynamics... and were primarily based on what I had learnt from this book. This is another book to ‘grow into’; much is complex and expressed mathematically. But by the same token, if you can read a graph and study photos, there is an enormous wealth of knowledge to be gained. The body shape examples are now old but the concepts are not. 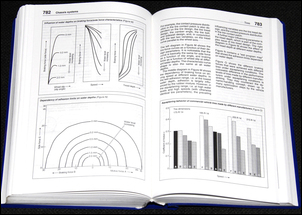 Incidentally, don’t buy aerodynamic books aimed at engineers or pertaining to aircraft (as most books on aerodynamics are). They’re largely useless for cars. Honourable mention: Tamai, G., The Leading Edge - Aerodynamic Design of Ultra-streamlined Land Vehicles, 1999, ISBN 978-0-8376-0860-0. As the title suggests, more suited to those chasing ultra low drag. 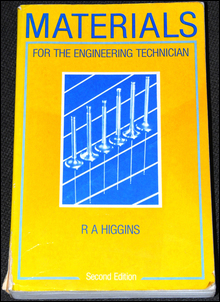 I’ll be quite frank – I don’t think that this is necessarily the best book these days on car engines. However, it is the best I have in my library! When wanting to learn about what actually occurs inside an engine, it’s important that you get away from ‘car engine books’. The thermodynamic cycle intrinsic to the operation of the engine – the release of heat energy from the fuel and the action of the working fluid that causes the pistons to move (or turbine blades to turn) - needs to be examined in a context away from a ‘let’s port the head’ frame of reference. I think that this book is a little dated – not in the fundamentals but in the examples. When selecting a book of this type, be wary of those that disappear into a level of detail that is incomprehensible – eg looking at the way combustion occurs on a sub-atomic particle level. 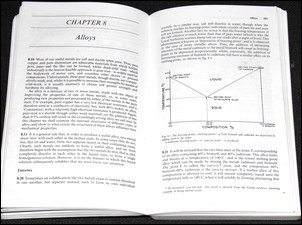 Honourable mention: Kinsky, R., Applied Heat – an Introduction to Thermodynamics, 1981, ISBN 0 07 072934 4. A more general book on thermodynamic processes, including those associated with engines. This is an oldie – first published in 1962, with this a 1968 revised edition. As the title suggests, it aims at being a complete coverage of the design of intake and exhaust systems. A very detailed book, its age is both an impediment and an advantage. 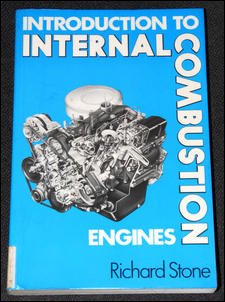 An impediment because it doesn’t discuss EFI intake manifolds (let alone variable intake manifolds, cat converters, turbos, emissions – or a host of other things) but an advantage in that it’s a very detailed, back-to-fundamentals book of the sort now rarely published. How fundamental? Well, it takes you right through the idea of how sound travels, how a tuned length (organ!) pipe works, and so on. Pretty well all the engines shown as ‘state-of the-art’ are now well outdated, and don’t look for a quick and easy mathematical solution for fitting extractors to a Honda S2000 – that engine would have been regarded as beyond belief at the time the book was published! 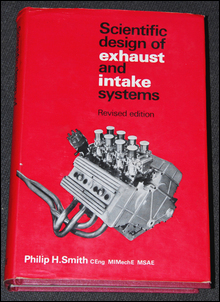 However, if you want a detailed (and, it must be said, at times stodgily written) book covering the theory of intake and exhaust systems, it’s a valuable and worthwhile reference. But it’s a book that definitely needs to be slowly and thoroughly studied, not skimmed. 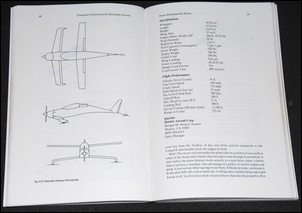 Honourable mention: Atherton, L, Desktop Dynos, 1996, ISBN 1-884089-23-2. Excellent on what goes on inside a piston engine, especially in terms of cam design and timing. You’d think that there would be plenty of good books around on the characteristics of different materials. But there are not! On the one hand you find books that cover only metals – and ignore plastics. Or books that go into very deep and complex mathematics to explain ideas that can, in fact, be broken down into quite simple notions. Materials for the Engineering Technician is highly unusual – it has enough depth to make it useful but is also easily comprehensible. In addition it covers a very wide range of materials, so whether you’re considering valve stems – or dashboard panels – it has something to offer. 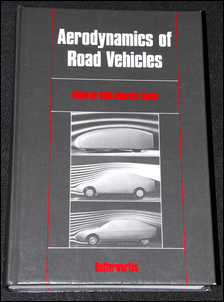 Honourable mention: Davies, G., 2003, Materials for Automobile Bodies, ISBN 0 7506 5692 1. As the name suggests, it’s a closer look at the properties of materials from which cars are made – includes composites, aluminium and steel. Theory is all well and good, but at some stage you’ll need to pick up the spanners, form the sheet metal, or turn something up in the lathe. This book is in many ways utterly different from those that have so far been cited. There’s no maths, no theory – but a lot of hands-on activity, illustrated with heaps of photos. If you’ve been finding the other books rather draining, it’s also an excellent armchair look-through, skimming the pics, reading the captions and occasionally delving deeper into the text. Sheet metal forming, welding, heating and bending – they’re all covered in great, down-to-earth detail. If you think that your interests and skills will lead more in the direction of machining than fabrication, look at the ‘honourable mention’ below. 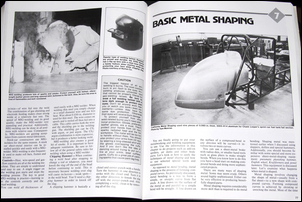 Honourable mention: TAFE Publications, Fitting and Machining Vol 1, 1985, ISBN 0 7241 3483 2. 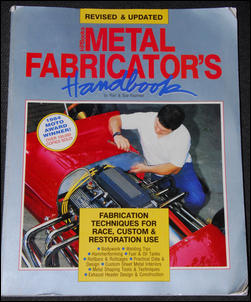 A brilliant primer on using hand tools and basic machining – available also are volumes 2 and 3. Worth the high prices often asked. This is an enormous, detailed book - the edition I have has over 1200 pages. It isn’t the sort of book to browse through, reading just for interest’s sake. But sooner or later, if you are making something or having something made, you’ll need to know the possible ways of making it. And that’s what this book is all about. If you want to learn how to machine a thread, don’t consult it. But if you want to learn how threads can possibly be made, this is the book. It’s a publication that complements those already discussed. Honourable mention: Amstead, B.H. 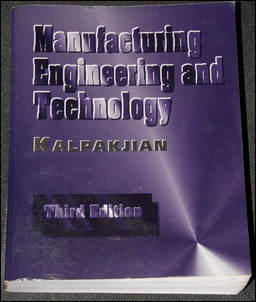 et al, Manufacturing Processes, 1984, (ISBN not available). Not as good as the main title. 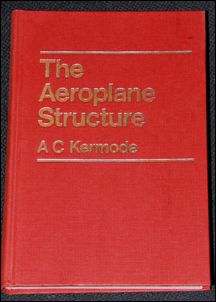 ‘The Aeroplane Structure’ – huh? For the last two ‘must-read’ books I’ve chosen to step away from cars and towards vehicles that actually must be strong and light in order to function – aircraft. So what use is such a book to people interested in cars? In short, it’s probably one of the best introductory books I’ve ever read on structural design. In fact, such is the smoothness with which topics are introduced, it’s easy to find yourself drifting along, reading but not really thinking through in detail everything that is being said. At this point it’s wise to stop and re-read, going over the concepts slowly and carefully. To understand the ideas you need literally zero maths background and the vehicles by which these concepts are conveyed (aircraft) are sufficiently familiar to most of us to not cause problems. 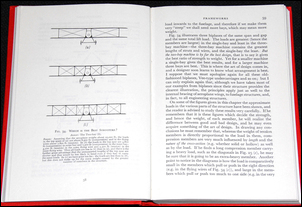 Honourable mention: I won’t cite a particular book but any of the 1930s, 1940s and 1950s books with titles like ‘ A First Course in Mechanics’ and ‘Teach Yourself Mechanics’ will cover the idea of stressing structures, with special relevance to space frame designs. This is another (apparently) out of left field. 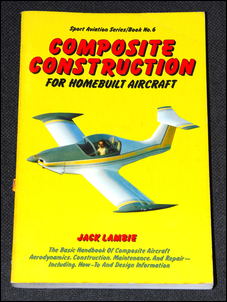 However, it’s the best book I have ever seen in covering composite (eg fibreglass, resin, paper, carbon fibre, wood, etc) construction of light, strong and stiff vehicles. The book is so relaxed and laid-back (no maths here!) that it’s another where it’s possible to just read along without fully realising the innovation and depth of the techniques being covered. The perfect sit-down reading – in fact, when my wife just saw it on my desk next to my keyboard, she said: “Ah, the toilet book!”. Honourable mention: Wynn, P., Foam Sandwich Boatbuilding, 1973, (ISBN not available). Very down-to-earth coverage and especially suitable for people interested in ultra lightweight structures. Read these books, pore over these books, think about these books, glance through these books, discuss these books, battle with these books, be alternately frustrated and enthralled by these books... and I think you’ll find that innovation and inspiration and detail and understanding flow. The reading will not always be easy, the reading will not always engender immediate understanding, but these books will provide a fantastic foundation, whether you’re interested in building responsive streetable cars – or world-beating machines that are like none seen before.